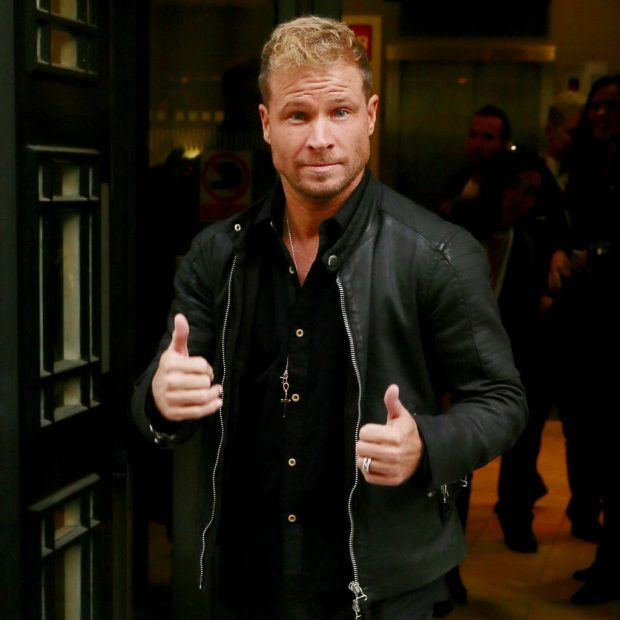 Backstreet Boys star Brian Littrell’s teenage son, Baylee Littrell, will open for his dad’s band on the upcoming DNA World Tour. Nick Carter let the news slip on the iHeartRadio Music Awards red carpet on Thursday night and the proud papa then confirmed the news. Country music star Baylee released his first single, Don’t Knock It, just before his 16th birthday in November and told People magazine he felt the timing was right to launch his career. Baylee performed the song for the first time at his Sweet 16 party in Atlanta, Georgia. The teenager isn’t new to big stages, having previously toured the world with the Backstreet Boys. He also once opened up for Mariah Carey and he has appeared on Broadway – Baylee was 13 when he made his New York theatre debut in the musical Disaster! at the Nederlander Theatre in 2016. He played twins in the show, which is set on a floating casino plagued with earthquakes, infernos and tidal waves, and features pop, rock and disco hits from the 1970s. The Backstreet Boys have nine residency dates in Las Vegas next month before heading off to Europe in May to kickstart the DNA World Tour. They return to North America for dates in July, August and September.